The Lord Walter FitzGerald Prize, sponsored by the County Kildare Archaeological Society, is awarded every 2 years on the basis of an essay reporting original research on any aspect of the archaeology or history of County Kildare or surrounding districts. In this context, research about persons or families of Kildare, or those well known to have resided there at one time, is part of the history and archaeology of Kildare. The prize commemorates Lord Walter FitzGerald (1858-1923), a founder member of this Society and one of the principal contributors to its Journal throughout its early decades. Applicants are invited to submit an essay of 5,000 to 7,000 words, including footnotes. A prize of €500 together with a specially designed medal struck by the Society will be awarded for the essay recommended by the judging panel and agreed by the Council. The competition is open to all applicants, regardless of their place of residence. 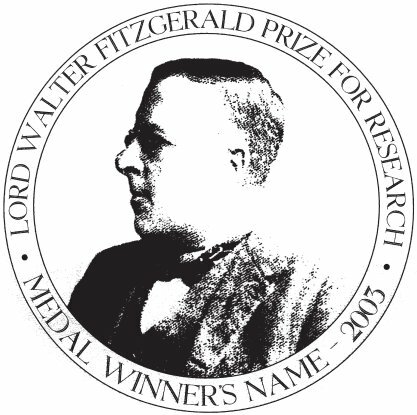 While it is intended to offer the Lord Walter FitzGerald Prize biannually, a prize will not be awarded unless essays of sufficient quality are received. This prize will be advertised in the Journal, on the Society’s website and in appropriate local and national media. The panel of judges comprises the President of the Society, the Honorary Editor of the Society’s Journal, one Council member, one representative of the County Library, and two external judges of merit to be appointed by the Honorary Editor in conjunction with the Council. All essays submitted will be considered for publication in the Journal of the County Kildare Archaeological Society. Essays for the prize in 2019 should be submitted by 30 September 2018. Further details and application forms are available from the Honorary Editor, Professor Marian Lyons, Department of History, Maynooth University, Maynooth, County Kildare, or from the Society’s website on this link.